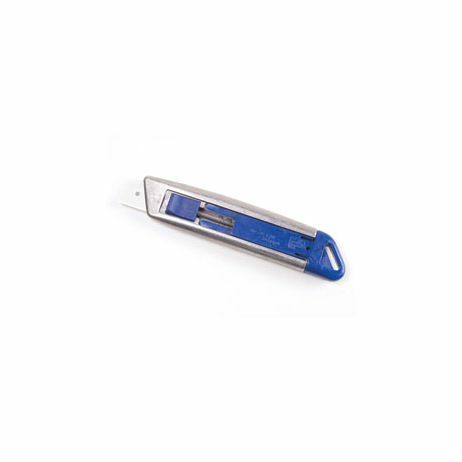 Metal Detectable Safety Knife - Profi Lightweight, Disposable and Cost Effective The Profi Safety Knife is designed as a general-purpose safety-cutting tool with options for both left or right handed workers. 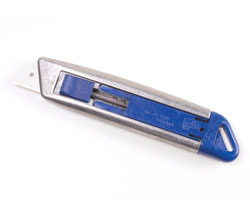 This knife incorporates an automatically retractable blade when the slider button is released. The spring loaded blade retract system is designed to respond to any uncontrolled move if and when the thumb (push slider) is NOT in forward position. This is a surefire safeguard against serious injury. It also incorporates a quick blade change system. Our Series of Safety Knives & Cutters can offer you a wide range of solutions for multiple applications for both the food and pharmaceutical industries.